Anyhow, here's a shot from my dailies today - courtesy of a freshly fracked well. Some info for y'all: natural gas that rises to the surface along with the oil, etc. is often flared off as waste. 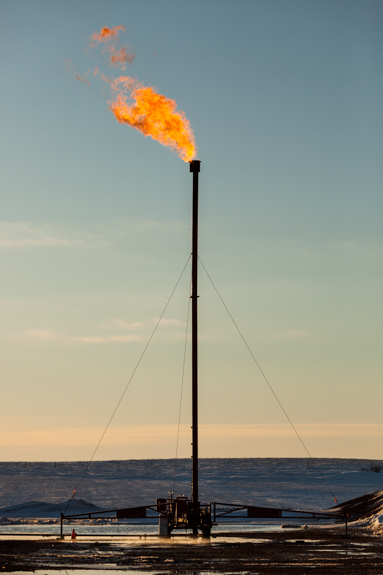 Oftentimes it's not cost effective (natural gas prices are low) to capture it and pipe it out, or more likely in this case, it's impossible to dig the frozen tundra to lay a connecting pipe to send the gas away to a refinery.